The event Mr. Dean is speaking of happened in June, Father’s day 2017. The year of 2017 produced shootings in Myrtle Beach that were, at times, an ongoing affair. 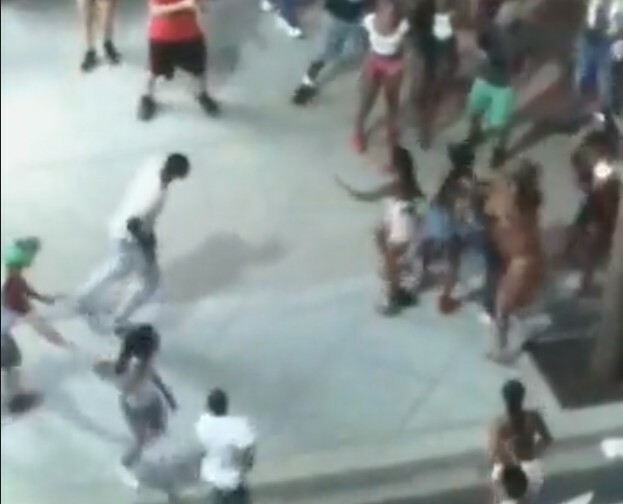 Multiple shootings occurred around Easter in downtown Myrtle Beach with five shootings in five days, but what stood out about the Father’s day shootings (where eight people were shot) is that these were live-streamed on Facebook by a Myrtle Beach tourist on vacation. The video went viral. It was seen by over 4.4 million people immediately on Facebook, and later, another 4 million on traditional media channels when national and local T.V. began broadcasting the story. Mr. Dean is adept at using carefully crafted sentences packed with legalese. The Myrtle Beach “area” includes the neighboring beach towns of North Myrtle Beach, Surfside Beach, Garden City Beach and Pawleys Island. The impact on the Myrtle Beach city brand has been clear. While the city of Myrtle Beach was down Summer 2017, the neighboring beach town of North Myrtle Beach had its best Summer ever. The city of North Myrtle Beach is one of the safest beach towns in America, known for its quaint charm and family friendly environment. Families simply decided to take their small children to the largely crime free beach towns of North Myrtle Beach, Surfside Beach, Garden City Beach and Pawleys Island. These towns each showed an increase in tourism. Mr. Dean will be certain to include those neighboring town’s glowing tourism numbers when his end of year marketing report is published. What Mr. Dean did not address was a term marketing experts call Brand Spiral. Brands tend to constantly spiral up or down depending upon the product and how the consumer feels about the product. 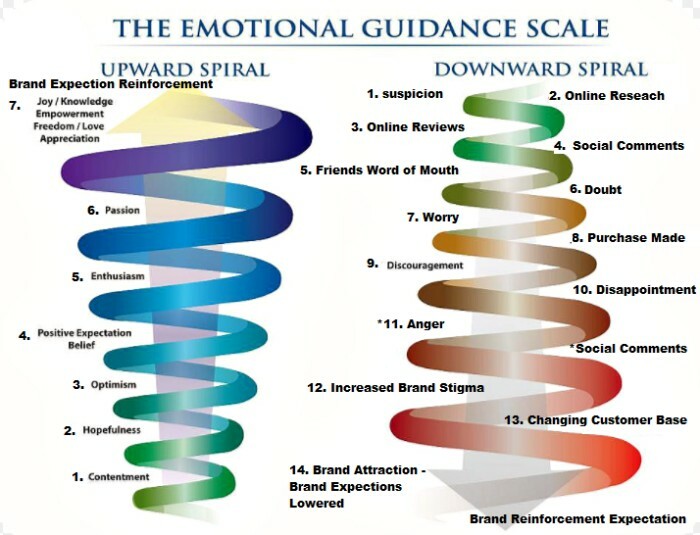 Brand 1 above is spiraling upward. Consumers start the experience with a feeling of contentment and are hopeful in their purchase. Average American shoppers and higher end shoppers are hopeful and optimistic about their purchase experience even before they buy. Post-purchase, the consumer’s beliefs about the brand are then reinforced. Depending on the brand or product, consumers experience joy and appreciation about the brand. Note: We are discussing a tourism brand here. With brands like the Salvation Army, the consumer might experience empowerment or freedom. Brand 2, on the other hand, is spiraling down. Consumers actually begin the purchase process with suspicion. Should the consumer purchase, he or she does so with concerns. The purchase is made with increased scrutiny. Should the post-purchase experience reinforce previously held suspicions, the consumer will have disappointment both in the brand and his or her choice in buying that brand. The consumer may actually blame themselves for making such a poor decision. Depending upon the personality profile of the consumer, anger may result. This will lead to negative social comments which will also lead to an increase in the brand’s negative image. [12. Increased Brand Stigma]. There are some personality types that will simply quietly go away never purchasing the brand again. Higher end clients and average families will no longer desire to purchase Brand 2. As a result, to stay in business, prices are often cut which cause the brand to attract a less desirable client base of customers. This leads to #14, lowered brand expectations and a lower economic class of customers. As it relates to Myrtle Beach, should an un-informed new buyer visit and then experience these other clients and this environment, those new clients will feel a brand disconnect in relationship to “who the brand is” as matching up with who they are. Imagine owning a business where only 60% of your customers ever use your product again. How expensive would running that business be? Most Americans would agree that KMART is a brand that has been in a downward brand spiral for a decade or more. 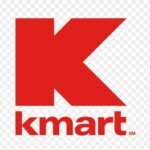 How much money do you believe KMART should spend in advertising in this current brand state? According to AD AGE March 17, 2015, Sears and Kmart brands collectively spend $560 million in media each year. Yet both brands continue a rapid decline. The Myrtle Beach Area Chamber of Commerce spends $32 million in taxpayer funded advertising most years. Yet the city of Myrtle Beach brand also continues to decline, while the neighboring beach towns of North Myrtle Beach, Surfside Beach, Garden City, and Pawleys Island are each spiraling upwards. Over the next five years, the city of North Myrtle Beach can expect better named brand businesses to want to re-locate there, more businesses in general wanting to open there, and more homes built west of the city. City residents and city merchants will see appreciations in their home and commercial real estate values. Why? Because North Myrtle Beach is (and will be) where the most and best tourists will be. It’s a chicken and egg issue. Because the brand is spiraling upward, it actually gets even better. The consumer is left with even better options and better expectations. Will any dollars spent in advertising actually help turn any corners in halting the downward spiral of the city of Myrtle Beach brand? According to AD AGE, no. Increasing the Myrtle Beach Area Chamber of Commerce advertising spending budget will only drive more tourists to the cities of North Myrtle Beach, Surfside Beach, Garden City Beach and Pawleys Island. Mr. Dean, once again uses legalese language in his statement. The Myrtle Beach Area Chamber gets two different types of tax advertising welfare: The Tourist Tax, collected locally inside the city of Myrtle Beach and a state-wide collected tax called the ATAX. The tourist tax generates by far the larger tax welfare revenues for the Myrtle Beach Area Chamber which bring in, on average, about $25 million annually. While multiple candidates running for Myrtle Beach city government this Fall want half of those tourist tax funds re-allocated to policing and city infrastructure, Mr. Dean has never suggested giving up control of any of those dollars. Instead, he proposes a modest $2.5 million contribution from funds the Myrtle Beach Area Chamber receives in ATAX collections. Candidates challenging for office this Fall say those dollars fall entirely short of the true need. Should no improvements to the brand be on the horizon, however, all concerned can fully expect the brand to only continue an accelerated spiral downward in 2018. EDITOR’S NOTE: After our story aired, Mr. Dean went on local radio station, WRNN 99.5 and stated Myrtle Beach Police Chief Amy Prock intended to add 100 to 150 additional police officers to the Myrtle Beach force. 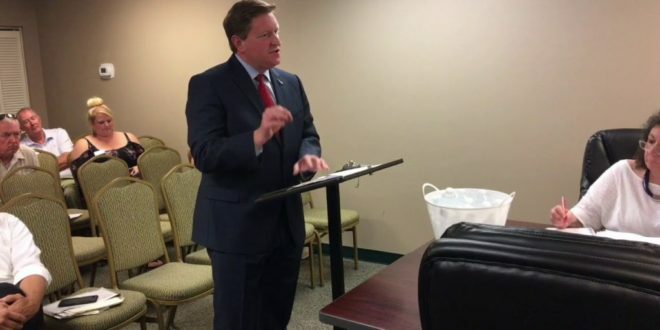 While Mr. Dean stated the Chamber would work with state lawmakers to re-allocate some funding, he did not specifically state that the funding for 100 new police officers would entirely come from re-directing Myrtle Beach Area Chamber of Commerce tax allocations.